two performers sit. thousands of lives intersect. 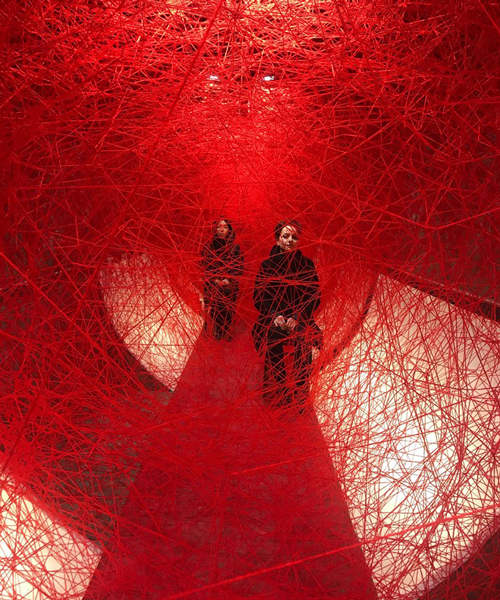 The post chiharu shiota weaves webs around two seated performers, 100 years after WWI appeared first on designboom | architecture & design magazine.